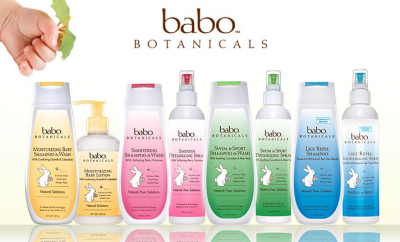 Save 50% off at Babo Botanicals – Natural & Safe Skin Care products for the family! Babo Botanicals offers a full range of natural and safe skin, hair and suncare products for newborns, babies, kids and the entire family! Babo products are made on a certified organic farm in upstate New York and are ultra-rich in vitamins A, C and D delivering maximum nutrients, protection and moisture to your child’s hair and skin. Babo’s mission is to provide the perfect balance between optimum results, natural ingredients and family fun. Offer available from Dec 11th to Dec 18th. Coupon does not apply to VIP Gift Basket. Exclusive Savings at Theme & Water Parks!